It’s not the most glamorous thing, but sometimes rubbish needs to be disposed of. We all have to do it on a regular basis with our standard household waste, but there are times when your local rubbish collection service simply won’t do. In these scenarios it can be hard to decide on the best solution – do you do the rubbish removal in BR4 yourself, ask friends to help? Instead of worrying about all this yourself, why not come to Handy Rubbish and get the experts to help. We are the top rated rubbish clearance service in Coney Hall and we want to help you. Call us now on 020 3540 8282 for more information and your no obligation free quote. Saving money is probably one of your top priorities when it comes to hiring a professional Coney Hall waste removal team. That and a great level of service and high quality work, of course. But can you ever get the two together; is there a company that offers great service at low prices in Coney Hall? The answer is definitely yes, because that’s precisely what we do at Handy Rubbish. Our primary mission is to offer the residents and businesses the very best level of waste collection service in Coney Hall, BR4 for prices that can’t be beaten. 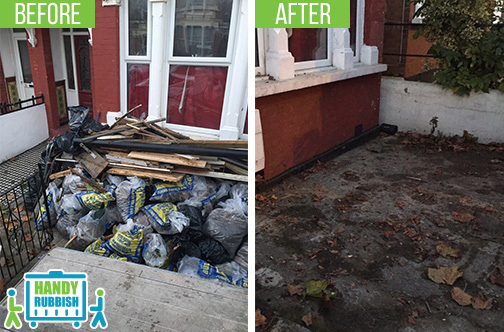 Our prices are the lowest in town guaranteed, and our waste removal service is the best and we’re so confident of that we offer a complete 100% money back guarantee. Call 020 3540 8282 to obtain a free quotation with no strings attached. The last thing we need is more waste; it’s doing the planet no favours, and although we know the damage we’re doing, it’s really hard to find an efficient way to dispose of waste that is also responsible. But if you’d like to start helping the planet, while also getting an outstanding level of service, and pay the lowest prices in Coney Hall, then our reliable rubbish removal service is for you. We provide waste clearance services throughout the BR4 area, and if that’s what you need, we’re the company for you. We always recycle as much as we can so you know you’re doing your part for the planet when you call us in. You’ve decided you’re going to hire a professional BR4 waste disposal company to help you manage your unwanted junk. That’s great, but how can you be sure you’re hiring the best people for the job? Well, here are a few things to consider: are they experienced, fully trained and vetted? Do they offer a reliable service, friendly approach and professional service? If that’s the kind of Coney Hall rubbish disposal team you want to be working with, then come to us, because we only ever hire the best, most reliable waste management experts, offering you a superior level of service you won’t get anywhere else in Coney Hall. Just give us a call on 020 3540 8282 to talk to an expert! Their waste clearance team in Coney Hall was polite and hard-working. They handled my rubbish in BR4 efficiently and charged me a small fee for a great service! 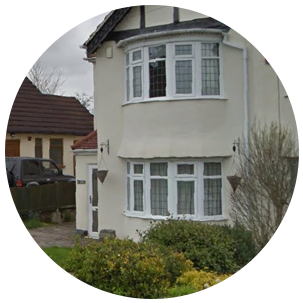 - Reviewed by David L.
Famous for being one of the areas that the Prime Meridian passes through, Coney Hall is otherwise known as a residential district within the London Borough of Bromley, and borders the area of New Addington and the Borough of Croydon. Although it doesn't have a rail station of its own, Coney Hall is relatively simple to get to thanks to a dedicated bus network and the nearby rail link in West Wickham. This easy access allows visitors to enjoy local amenities such as Coney Hall Farm, the Assembly Halls community centre and Coney Hall recreation ground.